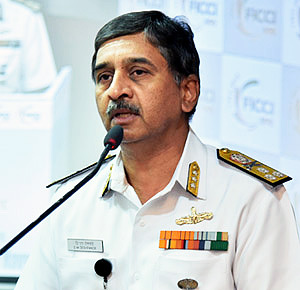 Jayant Baranwal, Editor-in-Chief and CMD of SP Guide Publications speaks to Vice Admiral DM Deshpande, Controller of Warship Production and Acquisition (CWP&A), Indian Navy at the Curtain Raiser on International Seminar on Building India’s Future Navy: Technology Imperatives. The questions were based on the push which is expected to help the fast-tracking process of modernization out of the Indian Government’s initiative of Make in India. Jayant Baranwal (JB): Can you share what is the status of Landing platform docks (LPD) project? 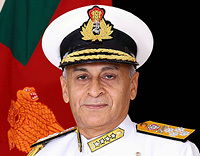 Vice Admiral Deshpande (Admiral): The situation now is way ahead for the landing platform docks (LPD). The decision is to be taken by the Ministry and we are likely to sign the contract by the end of this year. 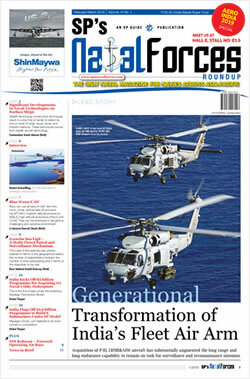 JB: How is the Indigenous aircraft carrier-II (IAC-II) progressing? Admiral: We will be shortly interacting and finalizing on the on the type of the IAC-II — exact tonnage, type of propulsion, and other design aspects. Post internal discussions, we will take it to the Ministry. This is a high-ticketed item and requires positivity from the government and the navy. JB: How about the status of Project 75I? Admiral: Project 75I is linked with the strategic partnership model and hinges on guidelines under the new DPP. The submarines are badly needed. If this model doesn’t work then plan B gets into action and we will have to look elsewhere. JB: You spoke about the East of Business Rules, what does that signify? Admiral: We are looking at gaining self-reliance, that’s the foremost. The FDI limits have also been raised and we are in talks with the government to facilitate the ease of business environment, further.